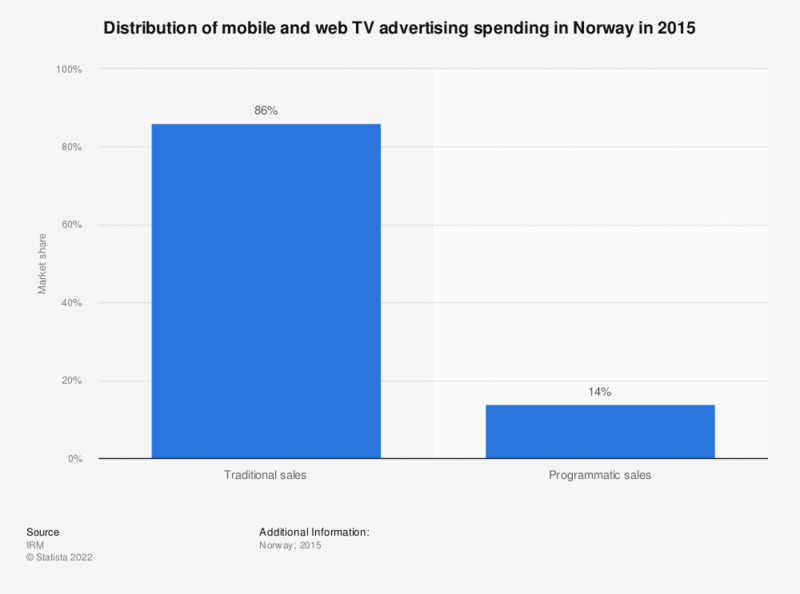 This statistic shows the distribution of mobile and web TV advertising spending in Norway in 2015. Programmatic sales accounted for 14 percent of the total mobile and web TV advertising spending in Norway. In 2015, the total mobile and web TV advertising spending amounted to 3,542 million Norwegian kroner in Norway.